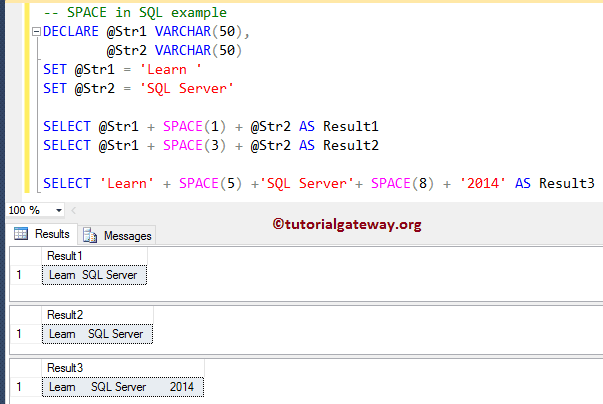 The SQL SPACE function is one of the String Function, which is used to return the string of repeated spaces. 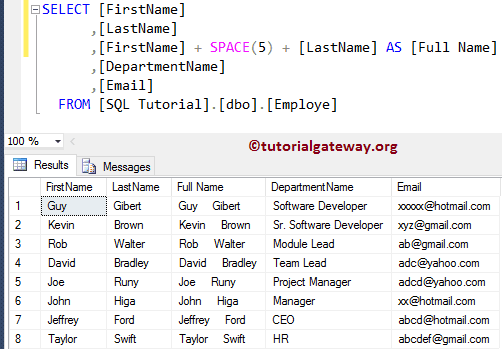 In this article we will show you, How to use SPACE function with an example. The String SPACE Function simply returns the string of repeated spaces. The following query will show you the multiple ways to use this function. Within this space function example query, the below lines of code is used to declare two VARCHAR variables and assigning them some random data. Next statement will combine the two variable along with SPACE(1) and produce the string result. It means, we are assigning single space between the two string variables. 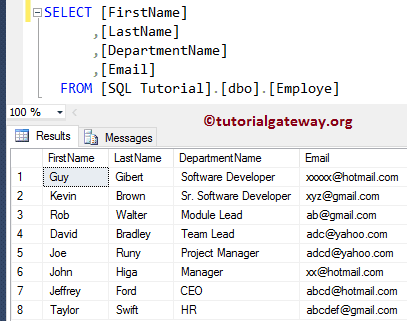 We also assigned new name to that result as ‘Result1’ using SQL ALIAS Column. The SPACE function also helpful when you are combining (concatenating) multiple columns. In this example,We are going combine the First name and Last Name columns present in the Employe column to get Full name, and to get the empty space we will use SPACE function. TIP: We used this SPACE(5) to get FIVE empty spaces. 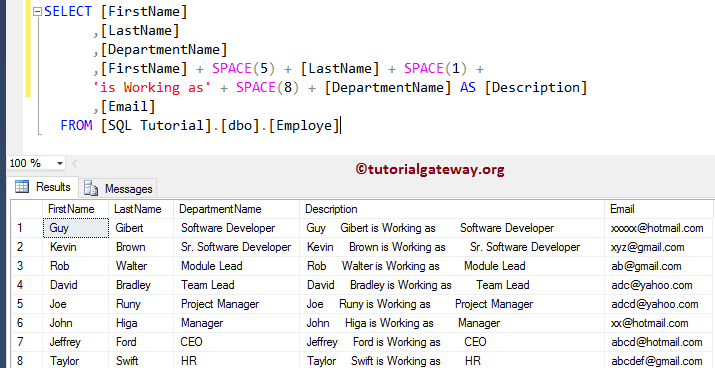 In this string space function in sql server example,We are going combine the First name, five spaces, Last Name, one space, string text = ‘is working as’, eight spaces, and Department name columns present in the Employe table.